Can speechwriters on opposite sides of the political fence find love and happiness in the heat of an election season? This is the comic premise of "Speechless," starring Michael Keaton ("Mr. Mom") and Geena Davis ("Thelma and Louise") as Kevin Vallick and Julia Mann – Republican and Democratic speechwriters (respectively) and romantic sparring partners. Add to the mix Kevin's ex-wife (Bonnie Bedelia, "Needful Things") and Julia's self-absorbed former fiancé (Christopher Reeve, "The Aviator") and the stage is set for screwball comic hijinks in the tradition of "His Girl Friday." 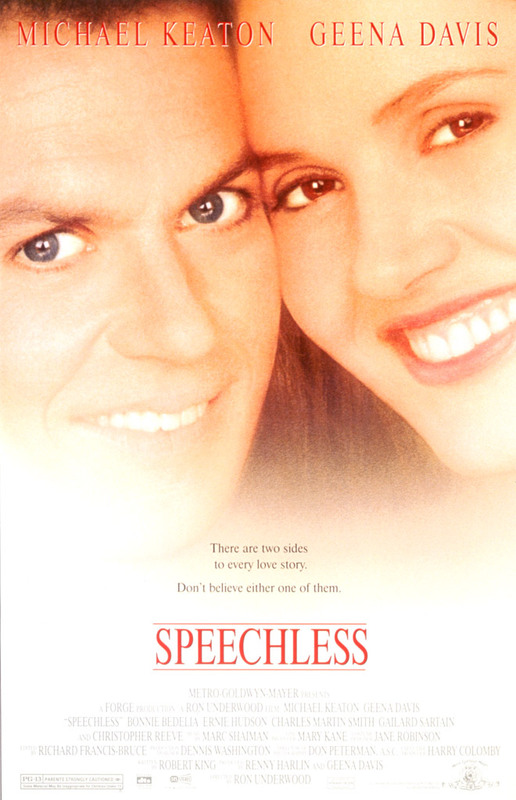 "Speechless," directed by Ron Underwood ("City Slickers") from a screenplay by Robert King (TV's "The Good Wife") co-stars Ernie Hudson ("The Basketball Diaries") and Charles Martin Smith ("Fuzz").